The scenario in question was a massive affair, the details of which I can scarcely remember except for the chaos of constantly shifting targets in the form of a lance of enemy light ‘mechs, the grim competence of my friend Douglas as he set about destroying everything he could in his Wolverine, and my surprise at how fast and fun the game was. Being in the heavy lance, I assume because I was a novice, I had many turns of relative inaction due crossing rough terrain with the rest of my lance. Far on the other end of the maps strewn across the long table 2 light lances, or maybe three, were tangling with the medium lance in which the only person I knew in the room was distinguishing himself while keeping me informed of how the rules were taking effect in play. That end of the map seemed full of excitement. My end of the map with my 3 cohorts seemed slow and sedate by comparison as we walked slowly toward what I was assured would be over by the time we got there… I had no idea what to expect, but I noticed a gleam in the scenario planner’s eye and kept my attention focused on moving from cover to cover, if I could, as we closed. Two marauders appeared from behind cover of their own, and in short order polished off two of my companions before the remaining two of us took them down. Four on two with two losses on our part did not fill me with hope or pride – especially considering how well my friend was doing, but it was interesting to see the totally different reaction to what I saw as character death through my filter of just being an rp-gamer, than what I was used to: no one seemed to care. I kept my ‘mech marching slowly toward the engagement, not having any real idea what the difference was between the classes of ‘mechs, or what that might mean. A third marauder joined with the surviving members of the light lances to prevent or slow the medium lance from joining me and my last remaining lancemate. Between us was a very rough patch of terrain and a space marked as a crater. Looking at the board I thought that if a lance consisted of 4 ‘mechs, and we had faced two marauders on one side of the crater and there was an additional marauder on the other side of the crater… didn’t it stand to reason that one more might be in or near that crater, waiting to rise undamaged and lay waste to those of us who had had to fight our way through opposition? I felt very unprotected as I decided to march straight at the crater, hoping to get there before the other marauder decided to turn back and even the score. I figured the two of us – me in my Warhammer (whatever that meant), and the other survivor in his Thunderbolt (whatever that was), could take a fresh Marauder, which seemed to my eyes to be very similar to my ‘mech… but somehow better, if we worked together. I was wrong. Entertainingly wrong, but wrong. I misjudged the movement points it would take to get to the crater, so I got there well behind my companion. I assumed the fourth ‘mech would be a Marauder, but it was a Battlemaster. I assumed my companion would try to use some kind of tactical thinking, but he charged right in and got blown to bits. He blamed the dice. So, there I was all alone, in a damaged heavy ‘mech, with a steep incline to climb before giving my stationary opponent the ability to use his superior gunnery skill on just my upper torso. That I would have the same opportunity to fire only on the upper torso did not seem to matter too much as that ‘mech – an ASSAULT ‘mech – (can’t you just hear the intense awe of the teen gamer?) was basically undamaged, and had been casually lying in wait for us there to butcher us all. I marched to my doom, and decided to fire both PPCs, despite the heat. Game over, and I have done the impossible. Of course, looking at things now, I know that most of the fun of that experience was derived from the pure luck of timely rolls, but as we all know – that can be a lot of fun. I also know that my very survival to that point in the game was due more to people choosing to attack targets piloted by friends they wanted to beat rather than firing on targets which made sense, but it was still a positive first experience with the game, and gave me a lot of opportunities to see the different ‘mechs in action, see different approaches to using them, and clearly see the difference between pure luck (me), and skill and luck (Douglas), versus the ADD approach. I ended up being involved in a weekly Battletech game that lasted for almost three years. We knew the game inside and out, had a permanent set-up for painting, creating terrain, and storing the massive number of Grox Blox and campapign maps we accrued over time. It evolved from just weekly set-ups to being a true ongoing campaign, to finally incorporating roleplaying elements. Ultimately, it was these elements which brought about the end of the game as we made the switch to actual roleplaying games, and no longer had the time to spend on ‘mechs and things. Similar to the dream-game I have in my mind of running Starfleet Battles and Prime Directive, I would love to do a regular Mechwarrior campaign complete with wargaming. As I know this is not going to happen in my current gaming environment, I will have to content myself with world, plot, and scenario building. It is commonly said that this approach fails for most groups, but I know it can be done. 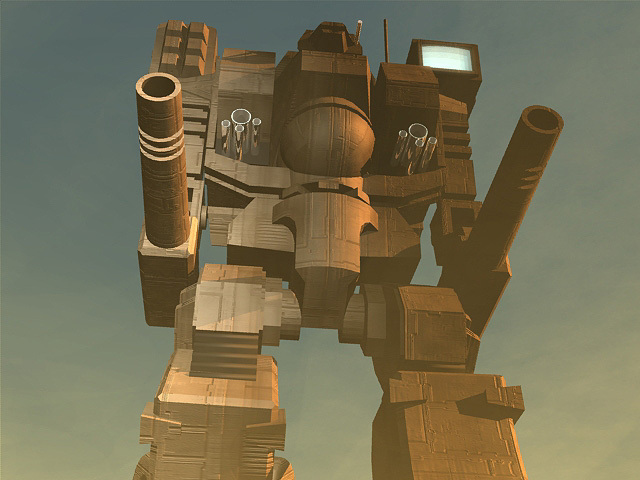 For the purposes of this blog, I plan to compare the stages of development I use for an RPG versus those I use for combining an RPG with a wargame, by posting progress reports on my proposed Icons game and this proposed Mechwarrior game. I hope you will enjoy reading these comparisons as much as I will enjoy planning the games. Moreover, I hope that should my plans seem to go astray, you will comment, and help me out. Of course, I have to learn how to play Battletech again. A lot has changed since I have been away. 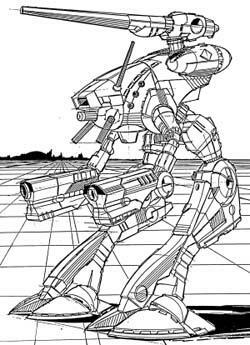 Not only that, but Mechwarrior 3rd Edition/Classic Battletech RPG has very, very little in common with the previous two incarnations of the game. It will be interesting to see if my 40 year-old brain can absorb and retain rules in the same way that my 17 year old brain did. I’ve tried to think back and hit on my favourite mech, but maybe we didn’t last long enough to find one. The coolest themed mechs usually ended up being the most useless in practice, so it was tough Wolverine was also one of fave’s but why is it the only mech that carries a suitcase?? business lunches maybe?